With the demise of "Brangelina" being attributed, at least in part, to disagreements about parenting, you may be wondering if your own marriage or relationship is at risk. 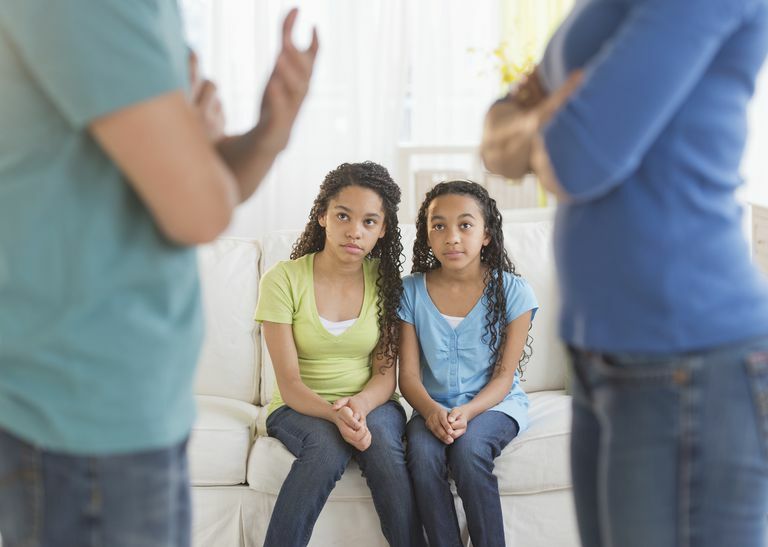 Differences in parenting is an area where many couples struggle, and it can lead to divorce or living with resentment when it goes unresolved. Do you think your partner is too strict, not engaged enough, or inconsistent when it comes to parenting? Do you fight about it? Consider these tips to keep your relationship strong through parenting differences. Ideally, you and your partner discussed your parenting strategies long before you decided to have children together. But even if you didn't, it's not too late to start. Share your parenting philosophies with each other. Talk about how you were parented and what you would do the same as, or differently than, your own parents. Ask your partner about topics like what reasonable discipline looks like, what sounds like an appropriate childhood bedtime, and whether children should get an allowance. Chances are, you aren't going to agree on everything. That means you'll have to make some compromises. You're setting yourself up for failure if your house rules are something like, "Be good, or you'll be in trouble." This vague approach to discipline lends itself to miscommunication, misunderstandings and ultimately, fighting. You and your partner should agree on specific rules and write them down. These may include statements such as what time each child goes to bed, that kids are required to ask before playing outside and that homework must be completed before electronics are used. Show the rules to your kids and ask if they have any questions. Be open to their ideas and suggestions, and make changes if they are appropriate. It is easier to enforce rules that everyone can agree on. You and your partner will need to determine what the consequences are of breaking the rules in your home. If your parenting styles are vastly different, this may be an area of conflict. Some parents are relaxed about discipline, preferring to simply talk to children about mistakes. Other parents are extremely strict and believe that handing out specific punishments is the way to keep a home on track. If your parenting styles are in complete conflict, you'll need to make some compromises. One parent may need to agree that there will be consequences for bad behavior while the other parent may need to accept that consequences don't have to be harsh to be effective. Make a written list of consequences for breaking specific rules. After the plan is in place, it is critical that you stick to it and be consistent. You are setting the whole family up for disaster if one of you is following the plan, but the other is allowing children to break the rules or is not enforcing them by insisting on compliance with the consequences. It is tempting to let unhappy kids out of a punishment or to relax the rules, but the message you're sending the kids is that you and your partner can be divided and conquered. Unless your partner is truly abusive with your children, do not interfere when you disagree with a parenting decision. Your kids will quickly take note of where the disharmony lies, and they will use this to their advantage. Don't let this happen. Let your kids know that you and your partner are on the same page and that you each support the actions of the other. Bring up the incident later when you and your partner are alone. If you just can't wait, at least ask to speak in private. How you parent the kids should be flexible enough to be changed as they grow older. You and your partner should be re-assessing the parenting structure as needed. Also, take into consideration the child’s personality. Some children need more supervision, some less. Some are more manipulative, and others have more of a pleasing nature. Your style should be a good “fit” for the child’s needs. A one size fits all approach may not work. Every parent makes mistakes. You and your partner are both going to make a bad decision or lose your cool with the children now and then. When your partner screws up, don't start hurling accusations. Wait until the children are not present, and talk calmly about the situation. Then extend forgiveness. This is your partner, not your enemy. Supporting each other means a lot. You don't have to let differences in parenting styles ruin your relationship. Simply listening to each other, compromising on what is important and agreeing you both are on the same team can go a long way toward raising a family in harmony. Parents sometimes forget that they are at the top of the hierarchy in the family structure. This essentially means that you two are the bosses and what you say goes. But, like in a government or business, if the leaders don’t agree, chaos ensues. Not to mention that it sets a poor example for the kids. They are watching what you do and can be influenced by it in ways that can have an impact on the rest of their lives.